Early adopters of Blu-ray Disc could be so incensed by changes being made to 'their' movie format that they could sue Hollywood studios and hardware makers alike. This is because many Blu-ray movies being launched next year have interactive menus and other features that take advantage of BD-Video Final Standard Profile 1.1 - a new hardware standard that mandates technology like persistent memory, BD Java and internet connections (optional) that older Blu-ray decks do not have. If you've ponied up in excess of £1,000 for a Blu-ray deck in that last couple of years that can't play or won't play these new features, you're gonna feel pretty miffed. "You some have hardware limitations. Persistent memory, for instance, mandates that you have flash memory inside the player, which is what HD DVD players have." "You can't upgrade the hardware"
"Take a Samsung or a Sony player - they have no flash memory. How will you introduce flash memory into a player which has already been designed and introduced? It's not a PC, you can't change the board, you can't upgrade it," Van Wynendaele told Tech.co.uk. Wynendaele then cites the Blu-ray release of sci-fi actioner Sunshine as an example of how this could be a problem. Sunshine is the first Blu-ray from any Hollywood studio that includes a Picture-in-Picture function so you can see, rather than just hear, movie-makers comments. "This feature won't work on any Blu-ray player available today. Even on the PS3...", he says. The PS3's saving grace, however, is that it can be upgraded to the Profile 1.1 specification with a firmware update. "So consumers will buy a title and find it does not work. The problem is then do they go back to the hardware manufacturer or the software manufacturer? Consumer lawsuits are quite common these days. I'm not sure that studios will take a big risk putting on features that won't work with some players." 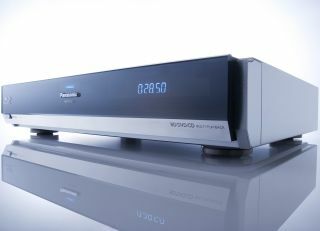 "The first people who will buy your Blu-ray player are early adopters, the tech guys and so on. The ones who love new technology and features. They want the best. They are the ones who make the reputation of the format, of the product... those people are very important from the start. "You'd better have those people on your side, for you rather than against you, because a small pool can make a large noise. And if those people make too much noise then the majority won't buy your product. "If those people start writing on the internet 'I bought this movie from Fox and it won't play. it's a rip-off, but nobody will take any responsibility - retailers are blaming the studios, studios are blaming the playback device' - then it could get nasty very quickly." Van Wynendaele, of course, points out that features such as persistent memory, picture-in-picture, interactivity and internet connections have been compulsory on HD DVD since its launch. The trouble doesn't end there for Blu-ray, however. While the new Profile 1.1 specification makes persistent memory mandatory (256MB of it), Internet connectivity remains optional. In fact, Internet connectivity won't be declared mandatory until the next specification, Profile 2.0, aka BD-Live.